While several countries including South Africa, France, Japan, Belgium, the USA and others, made elaborate week-long arrangements in the run up to the third world yoga day, the streets in India wore a festive look on Wednesday as old and young, dressed in colourful attire, pulled and stretched to perform various asanas. Brimming with excitement and energy, thousands of people from across the globe came together on various platforms to mark the third International Day of Yoga. Three years ago, Prime Minister Narendra Modi had persuaded the United Nations to declare June 21 as International Yoga Day. While several countries including South Africa, France, Japan, Belgium, USA and others, made elaborate week-long arrangements in the run up to the third world yoga day, the streets in India wore a festive look on Wednesday as old and young, dressed in colourful attire, pulled and stretched to perform various asanas. In India, celebrations began at dawn on Wednesday. 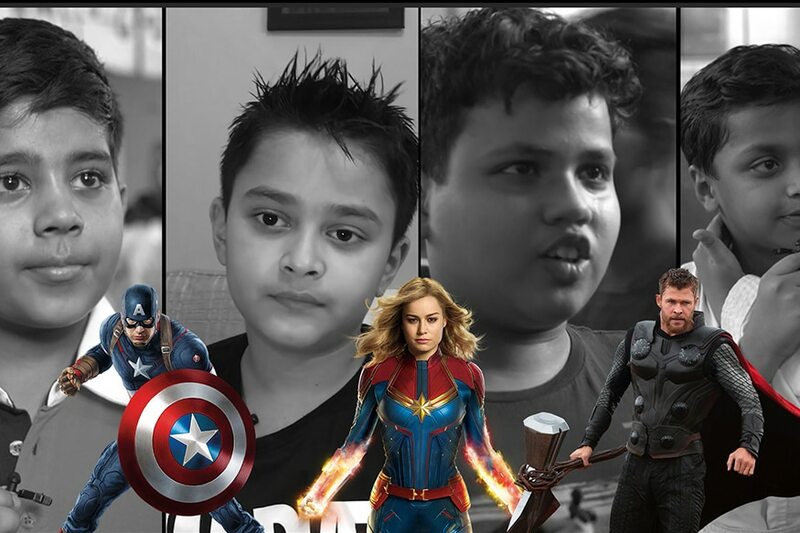 Everyone, from politicians, Bollywood celebrities, athletes, sports personalities to yoga enthusiasts, children and the elderly, came out to observe the day and perform yogic exercises. Here are some glimpses of how the who's who in India marked International Yoga Day. Leading everyone from the front was Prime Minister Narendra Modi, who performed several yogic exercises at an event organised in Lucknow. "Inhale positivity n exhale negativity. Happy international yoga day...with my fav yogini @anshukayoga #IDYwithReebok (sic)," wrote actress Malaika Arora Khan on Instagram. She posted a photo on the image-sharing app, wherein she can be seen performing a tough yoga pose with her trainer with absolute ease. Earlier in the day, the actress participated at an event in Mumbai, organised for International Yoga Day. 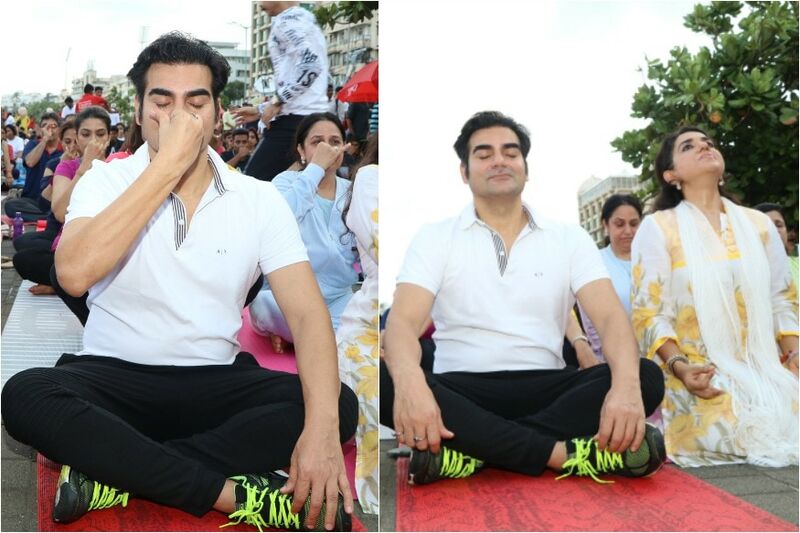 Actor Arbaaz Khan too attended an event organised in Mumbai to mark World Yoga Day, where he can be seen performing pranayam. BJP leader Shaina NC was also snapped along with the actor at the event. Actor and fitness enthusiast Shilpa Shetty Kundra, who is also a keen follower of yoga and is known to propagate the traditional practice among youth through her instructional fitness DVDs, posted a video on Instagram, to mark International Yoga Day. The actress can be seen performing Bakasana with absolute grace and brilliance. Bollywood queen Kangana Ranaut too took the opportunity to show off some great yoga postures that she has mastered. "Yoga is like Life - It's a beautiful balance of Holding On & Letting Go It's magical Keep practicing, we are all work in progress. Happy #internationalyogaday  #loveyourself #yogimonkey (sic)," wrote actress Bipasha Basu alongside a photo that she posted on Instagram. Both, Karan Singh Grover and Bipasha are seen performing some really tough yogic poses in the photos that she shared on the social media platform. Cricketer Ishant Sharma too shared a photo on Instagram, performing yoga with his friends which had the word 'Yoga is not a work-out, it is a work-in', written on it. And while Delhi Chief Minister Arvind Kejriwal attended an event in capital New Delhi to observe the International Yoga Day, other political leaders including BJP President Amit Shah, Maharashtra Chief Minister Devendra Fadnavis, M Venkaiah Naidu, Prakash Javadekar, Madhya pradesh Chief Minister Shivraj Singh Chouhan, Uttar Pradesh Chief Minister Yogi Adityanath and others too participated in yoga sessions across the country.